Winter is the perfect time to start thinking about how we can help our native bees. One easy project is to create nesting habitat that will benefit the small carpenter bee (Ceratina spp.). 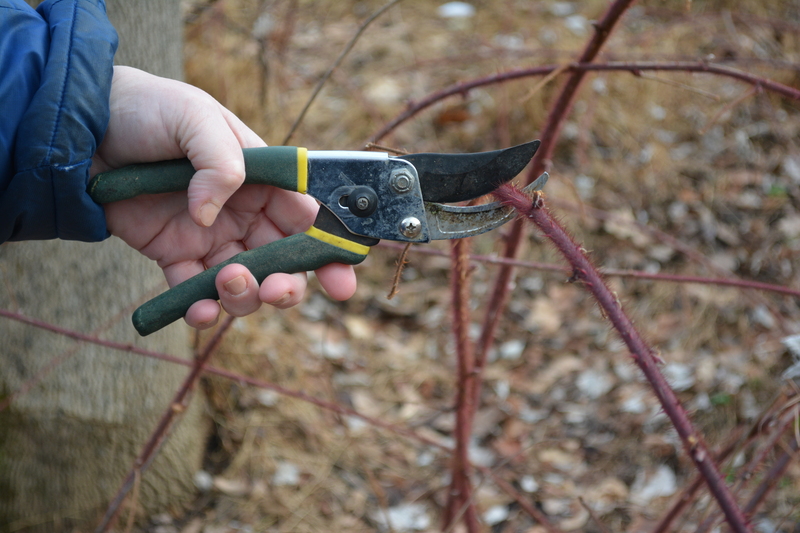 Using pruning shears prune back old bramble bushes such as raspberry, blackberry or wine berries. 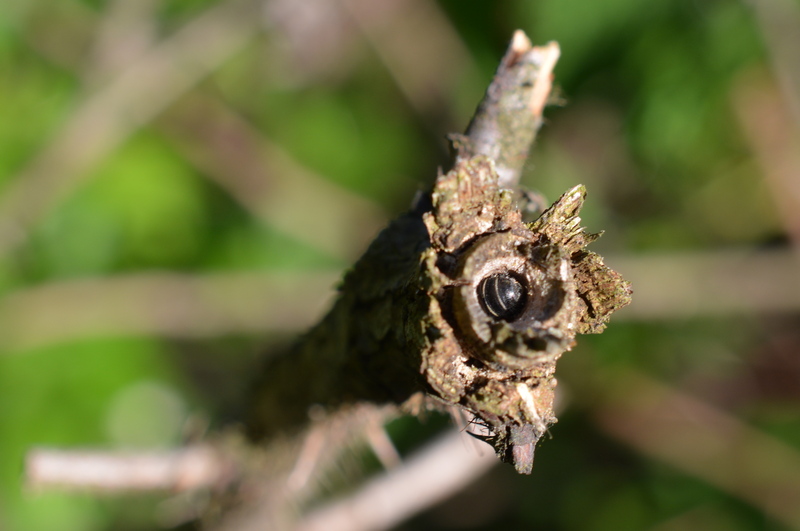 In the spring, small female carpenter bees will use her mandibles to hollow out the soft center pith to lay her eggs. The dark metallic blue small carpenter bee (Ceratina spp.) with a relatively hairless ant-like body should not to confused with the more notorious large carpenter bees (Xlocopa spp.) that is reminiscent of bumblebees. The small carpenter bee doesn’t have the jaw strength to burrow into wood like its larger counterpart so opts for the pithy centers of dead stems of elderberry, box elder, sumac, teasel and blackberries. This female bee, known as a foundress, lays her eggs in a linear series of brood cells that are partitioned with chewed pith and saliva. 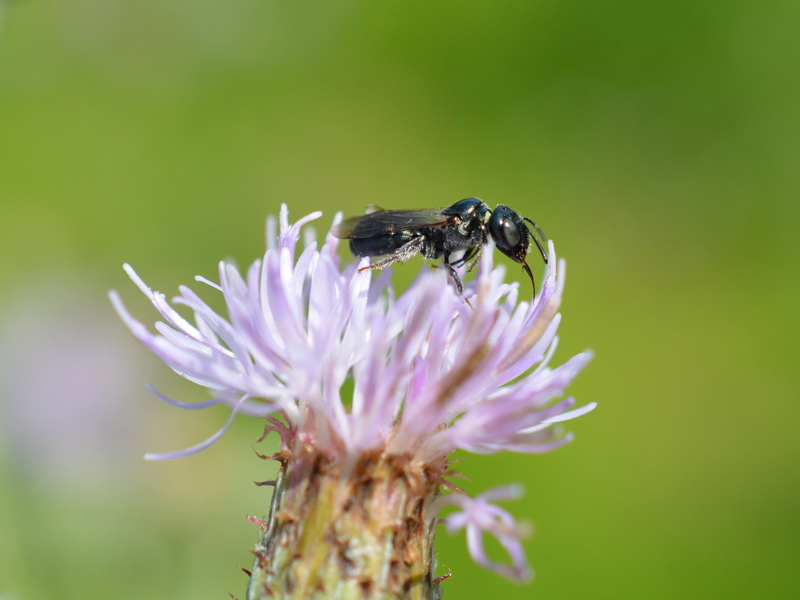 Small carpenter bees are long lived, living up to one year. 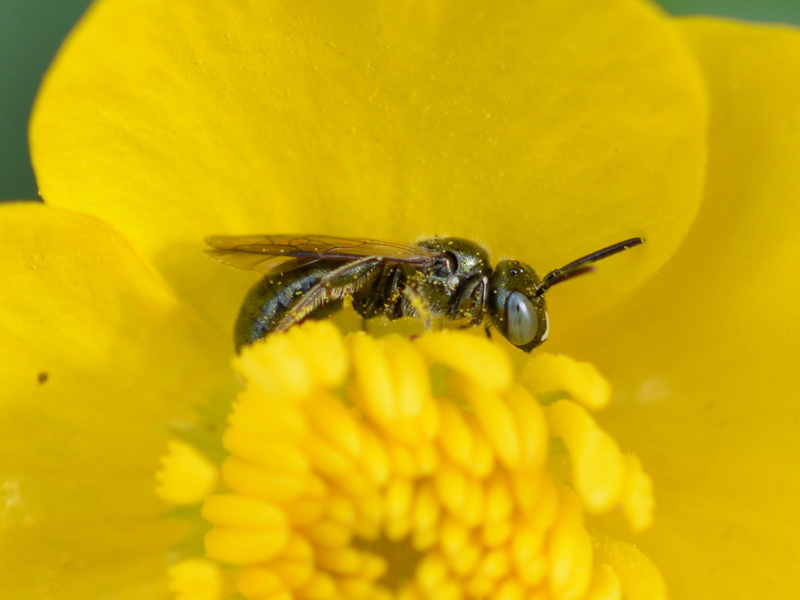 Unlike other solitary bees, the female small carpenter bee actively manages her brood by sitting in the entrance of the stem, guarding them from predators and disease until the new generation emerges. The brood consists up to 11-12 brood cells provisioned with “bee bread” by mid-May. The new generation of adults may either overwinter in the natal nest or disperse to find a new hibernacula. References: Vickruck, Jess, B.SC. 2010 The Nesting Biology of Ceratina (Hymenoptera: Apidae) in the Niagara Region. New Species Nest Site Selection and Parasitism. Pages 96-97.